Reddit isn’t always the best source for information, but when a leak like this comes around it’s difficult to ignore. 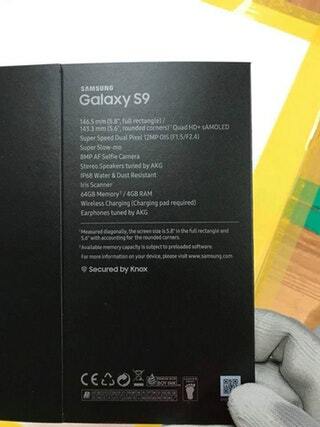 A leaked image has surfaced on the platform that ostensibly shows the Samsung Galaxy S9’s retail packaging, revealing details about the South Korean company’s upcoming smartphone. 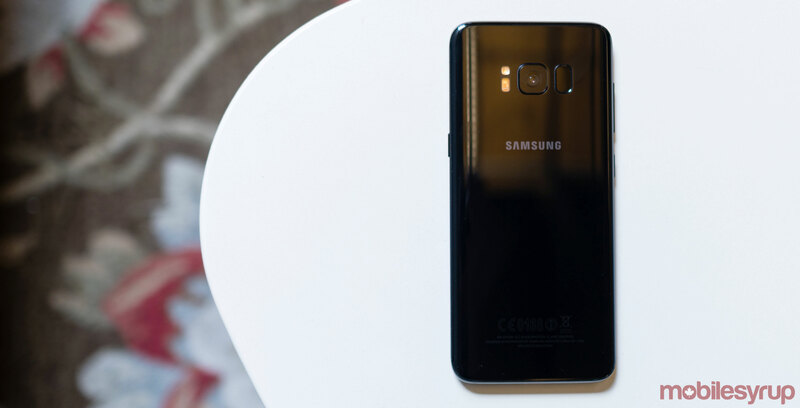 DJ Koh, Samsung’s chief of mobile, revealed this past week that the Galaxy S9 will be unveiled next month at Mobile World Congress. Following that announcement, many altered photos and fake leaks hit the web, so it’s best to take this latest image with a grain of salt. Still, from the font to the work gloves, the image’s details indicate this leak might just be the real thing. Getting into the specifics shown in the photo, the box reveals a 5.8-inch Quad HD+ AMOLED display, 8-megapixel front facing camera, iris scanner, 64GB of storage, 4GB of RAM and IP68 water and dust resistance. Moreover, the box states the S9 uses stereo speakers tuned by AKG and earphones tuned by AKG, as well as wireless charging. While the aforementioned details aren’t all that impressive, it is possible that the S9 will feature a variety of RAM and internal storage configurations. The S9+ may also use a higher RAM/ROM combination. The leak also reveals that the S9 potentially features a ‘variable aperture.’ To explain further, a variable aperture allows the camera to mechanically switch between a f/2.4 aperture for daylight and a wider f/1.5 aperture for improve low-light performance. This seems plausible due to Samsung releasing a flip phone in China with the same feature. Additionally, the box says the S9 will feature a 12-megapixel dual pixel shooter with optical image stabilization, similar to the Galaxy S8. The alleged Galaxy S9 box also mentions a “super slow-mo” feature, which according to past rumours, might allow the camera to shoot images at 1,000 frames per second. Per previous news, the Samsung Galaxy S9 will carry the Exynos 9810 chipset in some regions and is expected to carry the Qualcomm’s Snapdragon 845 in others (it is the foundry partner, after all). Other rumours point to the Galaxy S9 featuring a Face Unlock feature similar to the iPhone X, powered by one of the two chipsets. Additionally, the S9 will likely use a fingerprint sensor placed lower than the camera sensor similar to the recently unveiled Galaxy A8. Nothing is certain, however, until Samsung reveals the Galaxy S9 next month.